A Medusa character I made up for a book cover. 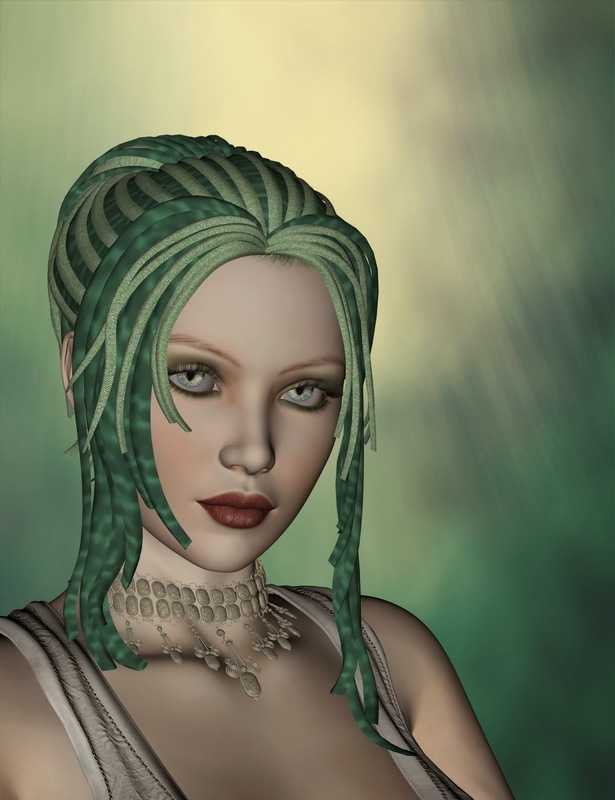 Daz Studio has an awesome Medusa hair... alas I do not have it. So I used the Forest Princess Hair and applied a scales shader to it. Not exactly the same, but it at least gets the general idea across.